They work the hardest. And I can’t possibly imagine life without them. They’ve thought me to move around by myself when I was a baby. They got me through school. They allow me to put on my second pair of eyes. They taught me the perfect place to wear diamonds. They make a big first impressions when they’re nice and soft. And they make almost everything in life possible. Our hands. Probably the most highly maneuvered out of all body parts when it comes to doing everyday things we take for granted, but my are they overlooked, and terribly so! 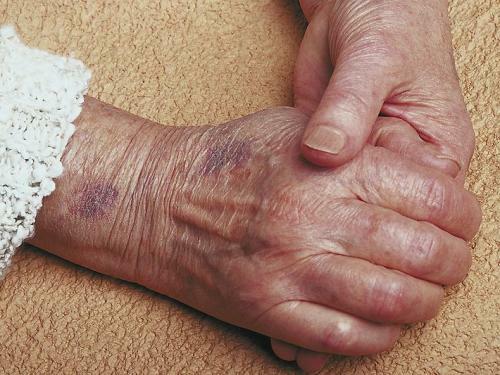 Do you know our hands deserve our care and attention too? Maybe even more! We subject our hands to the harsh realities of detergent, frequent washing, the weather and contacting all sorts of harmful objects.Heck, they’re the first thing to be judged after a handshake. Did you know, handling paper at the photocopier’s can actually draw out the moisture from our palms and finger tips making them more susceptible to wears and cuts? Our hands might be made out of skin like anywhere else on the surface of our body. 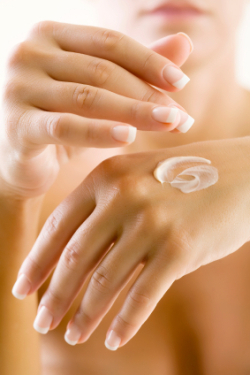 But unlike our face, our hands lack sebaceous glands that produce oil to help our skin stay soft. Hence, our hands get wrinkled, lined, dry and patchy pretty easily. 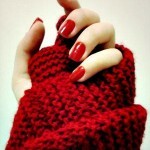 A pair of weathered leathery hands can easily botch up your look, hottest nail polish or not. A 20 years old but with 70 year old hands? Give your date a break. Men and women alike. 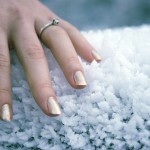 Understandably, certain repetitive activities roughen and season up our hands. But with some simple care, we can definitely restore some baby smooth youthfulness back. Adequate moisturization is always the key. Slapping on lotions and hand creams are easy task. It is retaining the formulas on our skin, and getting the softening agents to penetrate thickened skin the tricky bit. The best time to apply moisturizers is after a warm bath, or after soaking our hands for a long period of time, say after doing laundry, when are hands retain water and is soft and plump. Apply a heavy layer of hand cream to seal in the moisture. 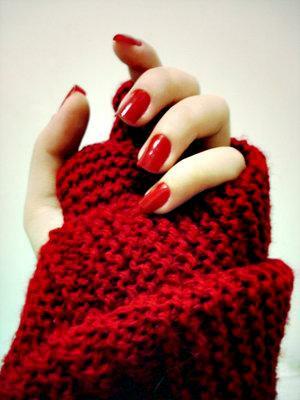 For extra oomph, apply a thin layer of vaseline and then cover with a pair of cotton mittens. This is something that has been tried and tested. Try to establish this routine at bedtime so leaving grease stains won’t be a problem. Wake up to reveal petal soft hands. Choosing the appropriate moisturizer is just as important. 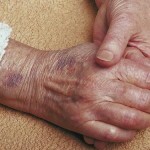 Our hands need heavier dose of emollients like oils and waxes, compared to the skin on other parts of our body. 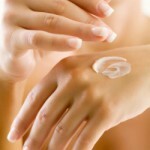 Opt for lotions with olive oil, Shea butter, Cocoa butter, macadamia oil etc. Top up with Vaseline (petroleum jelly) for extra softening. Personally, I’ve eaten through jars and cans of moisturizers. Not an advert, but my top 5 never fail hand creams in no particular order would be Hand Food by Soap & Glory, Rosken Skin Repair Dry Skin Cream, St. Ives Collagen Elastin Lotion , Gardener’s Hand Cream by Crabtree & Evelyn and L’occitane’s Shea Butter hand cream. They do really soften and heal chaps and not just leave a layer of grease on your skin. For the wallet conscious, the ever famous and legendary Nivea Creme never fails. Ok. So you’ve moisturized. What’s next? Keeping your nails in check of course. No one like ratty tatty, dirt clogged nails. No time for nail polishes? Manicures are a waste of money? The safest and easiest way is to keep your nails trimmed and clean. Guys and girls alike. Maybe a little bit of adventure for your nails? 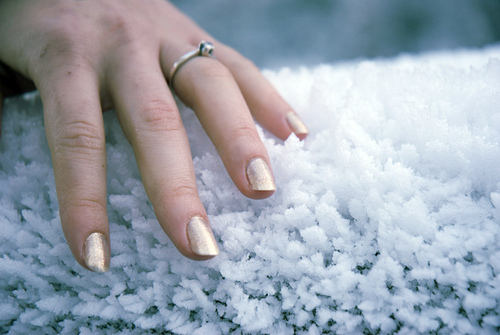 Buff your nails with a buffer for a deadly sheen. Or a French Manicure. It always works. Like being different? Can’t stand Plain Jane nails? Then color is for you! Muted neutrals, earth tones and pinks are a safe bet. They look neat, sophisticated with an aura of elegance. Everyone can wear the same neutral color and still walk away giving a different aura. 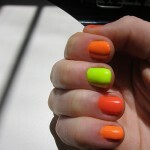 Neons and candy colors? Go ahead for a mish mash of rainbow colors for some fun. They are always good when you’re feeling that youthful vibe. Purples, reds, corals always channel glamour and boldness. They are perhaps the simplest way to grab everyone’s attention at a party and they do pretty well showing up on pictures. Pair with simple colored garb so they don’t clash with your outfit. Gold, Silver, holographic and metalic elements are modern, exotic and chic. Best part? They go with almost everything. When worn right, nail colors are the perfect accessory to a person’s outfit. They complete the look. 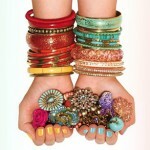 So many to choose from, rings – chunky stones, delicate bands, vintage, shiny crystals, fun colored plastic . Bangles – Wooden, metal, acrylic, ceramic, leather cuffs. 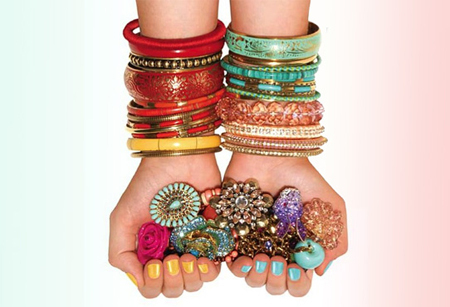 Bracelets – thread, leather, metal, acrylic, rubber etc etc and the list goes on. Rule of thumb is to mix and match different textures and shape but under the same vibe so there’s some sense of continuity for your whole look. 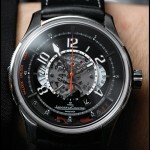 Also, bigger chunkier accessories are not very suitable for delicate wrists or fingers. Apart from that, have fun experimenting and adorning your hands. 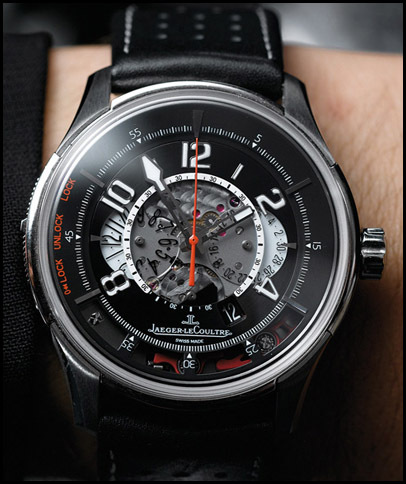 If accessories don’t excite you, invest in a watch. It never fails to inject some personality and sense of individuality. Skin, nails and accessories / watches, they’re the few things a person comes in contact after an introductory handshake. So take good care of your hands and make that handshake worth remembering. Let your hands do the talking and go make a wonderful impression. Take care of your hands and they might just win you the whole world.